Twelve shows in the Hydra Performing Arts Festival. Chimera Theatre will debut its first performing arts festival this week. 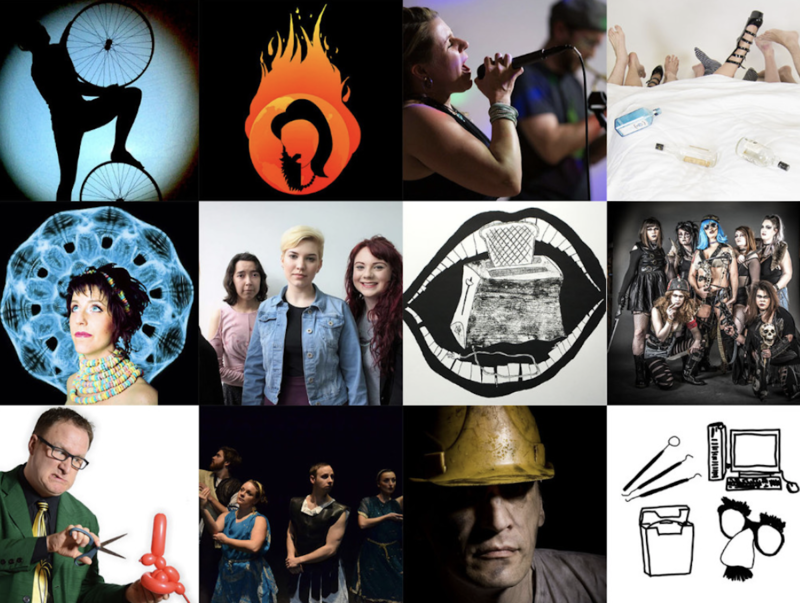 The Hydra Performing Arts Festival is a festival for theatre, dance, and music and will feature 12 new works by Kamloops artists with a focus on interdisciplinary art and challenging theatrical form. There’s everything from magic shows to shadow puppetry and live music to burlesque with comedies, dramas, and shows ranging from all ages to adults only. The festival runs over seven days and two weekends. Performances take place Thursday, May 10 to 13, and 17 to 19, 2018 at the Actors Workshop Theatre in Old Main on the TRU campus, 900 McGill Road. The festival is being produced in partnership with the Actors Workshop Theatre at Thompson Rivers Universtiy. Doors for all performances open 10 minutes prior to curtain. Shows will start on time and, due to the nature of the venue, latecomers will not be admitted. All festival tickets are $15 and are being sold in advance through the Chimera Theatre. Tickets will also be available at the venue with cash or credit 30 minutes prior to each performance. Ticket bundles can be purchased through the Chimera box office. Click on “Buy Tickets” next to “Hydra Festival Ticket Bundles” and select which ticket bundle to purchase. Everyone who attends the festival must have a festival button ($2) to access the festival lounge, theatre, special events, workshops, and closing ceremonies. Buttons will be sold at the venue prior to each performance and special events.